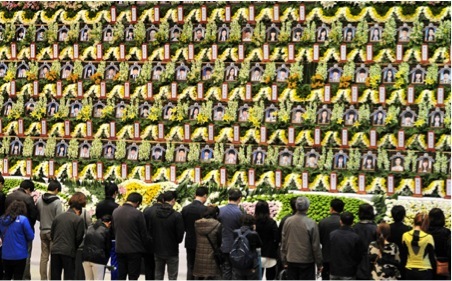 Visitors pay their respects to the victims of the Sewol tragedy at the Ansan Hwarang memorial altar in Ansan where the students lived and attended Danwon High School. The anguish over the April 16 sinking of the Sewol ferry will never go away. That’s because almost all of the 304 victims were high school students who died slow deaths, drowning in the foundering ship after the captain and most of his crew, having repeatedly told the kids to remain where they were below decks, had escaped. Like the sinking of the Titanic in 1912 with a loss of more than 1,500 lives or the crash in New Jersey 25 years later of the German airship the Hindenburg that killed 37 of 97 aboard, this episode has earned a place in history books and probably in film and literature too. That doesn’t necessarily mean, however, that we’ve learned a whole lot from it. The resignation of a prime minister is a ritual exercise that accomplishes little other than to divert blame from the president. The trials of the captain of the ship and other crew members will produce much incriminating testimony but won’t mean a lot unless company and government officials in cahoots with one another are also exposed. And even then, what about the greater lesson of the abuses of privilege and authority and connections among friends and relatives? If Korea appears as a modern country, old habits and practices remind us of the days, not so long ago, when President Park Geun-hye’s father, Park Chung-hee, ruled the land and feudalism and authoritarianism, not democracy, were the hallmarks of Korean life. 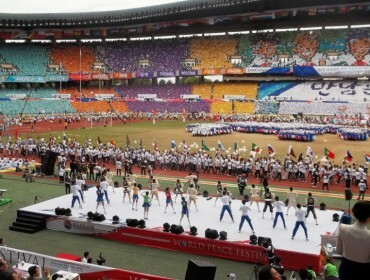 In the aftermath, Park has become the easy target for much of the blame. No one is going to take seriously a diatribe from North Korea castigating her for what happened, but she’s under attack in the South for the flaws of a system that gives rise periodically, every few years, to horrific tragedies at a cost of hundreds of lives each time. Yes, it’s ridiculous to hold Park responsible when the accident is so obviously a reflection of a society that appears in many ways to have modernized but remains mired in corruption and inefficiency that escapes much comment until disaster strikes. For Park, the real test will be whether she and her ministers, advisers and aides can impose the discipline needed to instill order in projects and programs that often rely on largely hidden networks of influence, blood ties, friendships and payoffs. The inner details of relationships among Korean power brokers are largely mysterious to most of us except when scandal propels a politician or tycoon into the news. 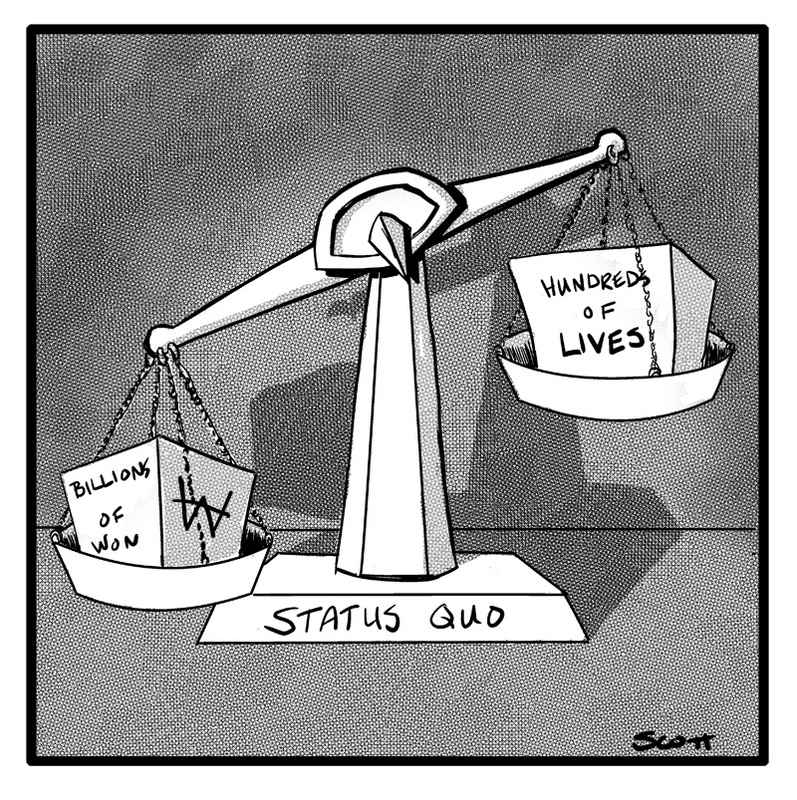 No doubt in the coming weeks and months we will learn a great deal more than has already been revealed in considerable detail about the inner workings of the company that owned the Sewol, but that’s a study in microcosm of much larger problems afflicting many organizations. How much more will we really know about the construction companies that build apartment blocks that look like giant matchboxes from one end of the country to the other? And who knows what goes on in the highway, subway and rail projects that bind Korean cities together in a system that on the surface seems incredibly fast-moving and efficient? What about the safety of the factories that churn out products competing for markets worldwide? All these activities, to the superficial eye, seem to work well, but do they really? Payoffs to inspectors, to minor officials, to superiors are so widespread, no one can really be sure about issues of safety. The Sewol tragedy has taught us that lesson. I should have already known after going by ferry for the first time in March, a month before it happened, from the thriving port of Mokpo on the southwestern coast to the idyllic island of Jeju, the destination of the Sewol. The seas were running quite high when I decided to go to Jeju by sea about a month before the Sewol’s final voyage. The agent who ticketed me at the Mokpo Ferry Terminal had to check to make sure the trip was still on. After we had cleared the coastline and made our way beyond the protective shelter of the small islands where the Sewol would go down, the boat began to roll back and forth on the waves. My greatest concern was seasickness, but my stomach remained under control while I wondered if the seas were a bit rough for the five-hour voyage. I could see why they sometimes had to cancel trips. In retrospect, I should have been more concerned about the total absence of a safety drill. I do remember seeing some orange life jackets stowed somewhere, maybe under the seats, also stacked by a bulkhead, but there were no instructions on where to go or what do. 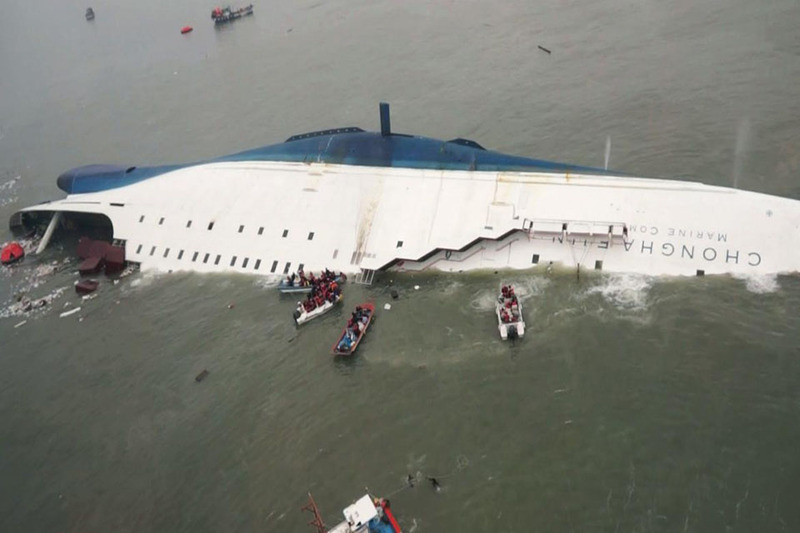 The sinking Sewol where more than 200 students were trapped. If there were life boats, I didn’t notice them. The three or four crew members whom I saw appeared nonchalant. At the snack counter to which I eventually staggered across a shifting deck, a pleasant young woman was purveying coffee and tea. If she had no reason to worry, why should I? 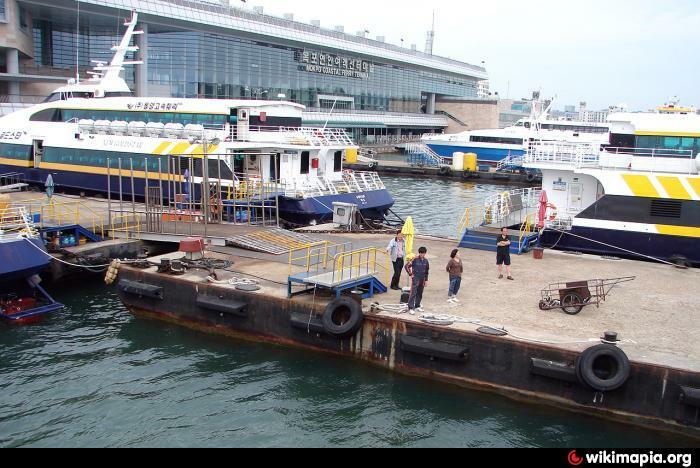 That seems to have been the spirit that pervaded all the coastal craft in the years before the Sewol tragedy–nothing will go wrong so why fret (or prepare)? Meanwhile, I’ve got to wonder if ferry rides to Jeju and other islands are somewhat safer now than when I took the boat from Mokpo to Jeju in March. I would hope, next time, someone will be briefing us on what to do however innocent those waters may appear. 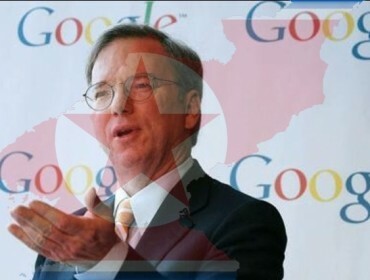 Donald Kirk has been covering the Korean peninsula for more than four decades. 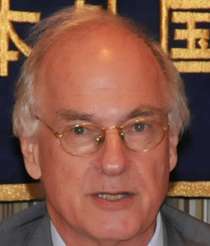 He is a veteran correspondent and noted author on conflict and crisis from Asia to the Middle East. He has covered wars from Vietnam to Iraq, focusing on political, diplomatic, economic and social as well as military issues.